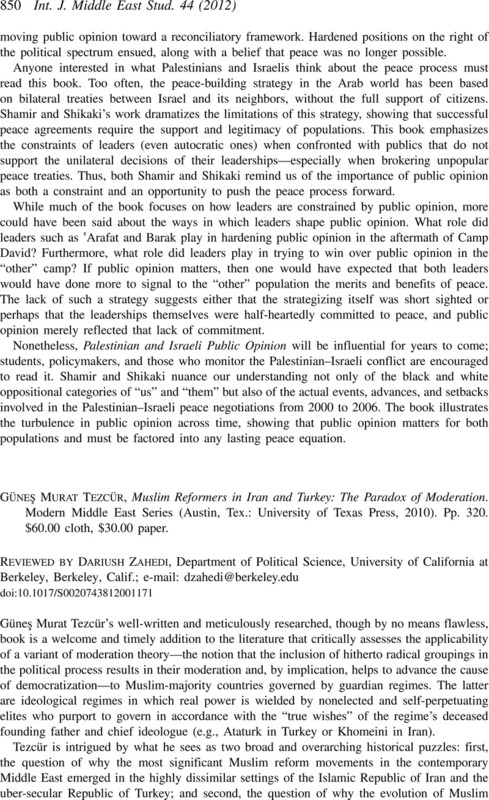 Güneş Murat Tezcür, Muslim Reformers in Iran and Turkey: The Paradox of Moderation. Modern Middle East Series (Austin, Tex. : University of Texas Press, 2010). Pp. 320. $60.00 cloth, $30.00 paper.